3D printing is a relatively new manufacturing technology that allows you to print physical three-dimensional objects using a 3D printer. A decade ago, 3D printers were expensive, and 3D printing was something that only happened in science labs and high-tech companies. 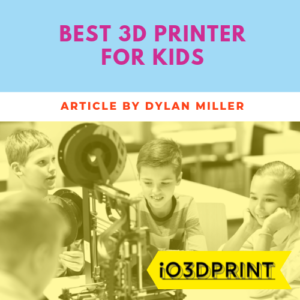 However, now, 3D printers are cheap, reliable, and easy to use, and so they are becoming increasingly common in homes and schools around the world. 3D printing is a tangle of technologies, processes, and materials that can be difficult to understand at first. However, when you break it down to its constituent parts, you’ll see it’s quite a simple process. The complexity comes from being able to make this process reliable and repeatable. Modern 3D printers have become so easy to use that you don’t need to understand how they work to use them. However, you will be able to get much more out of them the more you know. A little knowledge will help you a great deal in diagnosing problems and failures and will enable you to evolve your CAD designs, so they are easier, cheaper, faster, and more reliable to 3D print. 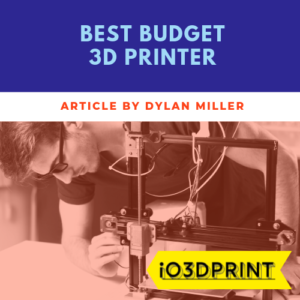 If you’re using a 3D printer in industry or for business reasons, then a little knowledge is essential, as just knowing a few basics could save you money in failed prints and wasted materials. Why is 3D printing so important? FFF (Fused Filament Fabrication) prints each layer with molten plastic. The plastic sets hard almost as soon as it has been released, allowing the next layer to be built on top of it. Each layer bonds to the previous one, resulting in a finished object that is homogenous. SLA (Stereolithography) starts with a photo-sensitive liquid resin plastic held in a vat. Light of specific wavelength is shone at the liquid resin causing it to set hard wherever the light touches. This process creates the first layer of the object. The process is repeated with subsequent layers built upon the last until a complete object has been made. 3D printers operate on one central principle. A digital model is turned into a physical object. The process involves building up thin layers of material from the bottom up until the final object is created in a physical three-dimensional form. To create a 3D printed object, you first need to have a 3D model of that object. The 3D model is a CAD (computer-aided design) part produced by a 3D modeling software. The next step is to prepare your 3D model for printing. This involves slicing. Slicing is the process of dividing your digital model into many horizontal layers that correspond to how the 3D printer will create the print. The printer will print these layers one at a time to form the physical parts. After your image is sliced, it can now be fed into the printer via USB, SD card or directly via WIFI. Three decades ago, it was almost impossible even to imagine the reality of being able to manufacture goods in your own home. When 3D printing was first talked about it was compared with Star Trek style teleportation, as it gives you the ability to effectively send a physical object to another part of the world nearly instantly. 3D printing has drastically revolutionized our manufacturing and industry. As much as conventional manufacturing methods still stand, and are broadly used, in many sectors 3D printing is starting to become the more preferred option. This is because it improves lead time, enhances geometrical freedom, and enhances creativity at affordable costs. Lead time refers to the turnaround time in prototyping and presentation of parts and projects. In manufacturing, project prototyping is a necessity before the implementation of the actual project. In conventional production, prototyping is a wasteful, tiring and time-consuming process that could take weeks if not months to complete. Besides, once a prototype was created, there was no room for correction. Any proposals to correct or adjust prototypes meant spending more time and cash. This is something most project managers avoid at all costs. As a result, the projects could either be discontinued or bear substantial costs. A way around this expensive process was found through 3D printing. You only need to create your 3D digital model design with the CAD file. After designing, the digital model details are sent to the printer for processing. It takes a matter of hours to print a model compared with days or weeks by conventional manufacturing methods. With 3D printing, your prototype gets printed fast. You also get room for adjustments and reprints until you reach the perfect model. It’s a more feasible and affordable process. With 3D printing comes creativity and creativity propels innovation. Unlike CNC machining or injection molding that adheres to strict manufacturing design rules, 3d printing breaks all conventional rules and norms of manufacturing. It opens doors to designers, allowing them to create all their imaginations if they so wish. Essentially, you can print out anything for work purposes or just for fun. With 3D printing, you can step out and design both complex and simple shapes and bring them to life without incurring unnecessary costs. The process is free-flowing and organic with seamless execution. 3D printing allows you to create geometries in a single print that would be impossible to manufacture in less than three or four components by conventional methods, if at all. Cost is a significant factor in manufacturing and any option that reduces it is always welcomed. 3D printing has over the decades become the go-to process in low-cost prototype manufacturing. The cost of production is often determined by the tools used, the complexity of the design, and the labor to handle all the processes. Tools used for different manufacturing processes (for example injection molded plastic) always have to take into account a specific design to actually achieve the end result. These include release points, holes and angles, and others. They are designed to ensure the molded part comes out correct. Additional specifications like coding, re-orientation, and extraction make the process complex, and it will need more labor. Overall the cost of producing the prototype is very prohibitive. With 3D printing, the above costs have been rolled down to ‘zero cost.’ The only tools you need are your computer and your printer. 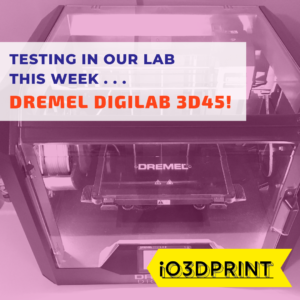 With your digital blueprint already designed, no matter how complex it is, you only need to load the filaments on the 3D printer, press print and watch. Polishing the object’s surface is always a must after printing, but this is a fraction of the labor needed in conventional manufacturing. Generally, 3D eliminates assembly labor, uses fewer tools, and automates the entire process. This makes the prototype creation far cheaper. 3D printing benefits are quite diverse and are often interconnected. Prototyping using traditional methods takes time and incurs high costs. There is also very minimal room for error correction. As a result, 3D printing has taken over the prototyping sphere both in form and function. Prints can often be ready overnight due to the accelerated design cycle. This cycle of design, test, improve, and re-design allows individuals and companies to achieve exact requirements within the shortest time possible, and at a fraction of the cost of conventional manufacturing methods. Plastic was the first material to be used in 3D printing. It is still the primary material used in 3D printing today due to its ability to be turned into a liquid and back into a solid at relatively low temperatures. There are so many different types of plastic with a wide range of material properties that it’s easy to find something that will suit most applications. However, not every 3D print is created from plastic. Ceramic, metal, carbon particles, wood, and food-related materials are fast finding their way into 3D printing too. Different materials can be infused to create a unique material with specified properties to handle specific applications. Infusion allows 3D printed parts to be biocompatible, have high heat resistance, and be very stiff and sturdy. One of the most popular plastics used in home 3D printing is PLA (polylactic acid), this can be infused with additional materials to create ‘exotic’ filaments such as copper, carbon fiber, or steel, each of which brings its own material properties or appearance to the finished 3D print. Compared to more traditional manufacturing methods which often require specific expensive molds or tooling to produce the final product, 3D printing does not need any specialized tools to build the item other than the printer itself. Instead, the process is highly dependent on technology, material, time for printing, and post-processing. As a result, the start-up costs for 3D printing are relatively low. How fun would it be if things actually looked as we want them to and not as manufactures dictate? This is exactly what 3D printing is about. Due to stringent rules in traditional manufacturing, anything more than the standard designs is often costly. But with 3D printing, every item can be customized to meet user needs. Customization has given rise to the creation of complex figures that are easily printed with the technology. Large corporations such as Adidas are taking advantage of this aspect of 3D printing to create products such as fully bespoke shoes that are printed to each individual customers’ specification and foot measurements. When designing a product, some shapes are simple while others are much complex. Complex geometry always costs more to manufacture using traditional methods. Usually, this is because it requires more time, but in 3D printing all shapes cost the same. The only thing that affects cost in 3D printing is the total volume of material used. With all its benefits and advanced technology, 3D printing is not 100% perfect. It has some flaws too that need to be understood to get the most from it. One of the reasons why there isn’t an entire shift from traditional manufacturing to 3D is the aspect of bulk manufacturing. 3D printing has low start-up cost since it doesn’t need custom tools or molds for production. However, low start-up costs are only beneficial for a limited or small quantity of production. When production is above a handful of products, the price and time to manufacture may not be as favorable. In that case, CNC machining and injection molding may take the lead, and the high initial cost of tooling and molds then pays off, and thousands of copies may be taken from one mold in quick succession, something impossible for a 3D printer. The additive process of layering used in 3D printing can make the end product weaker compared to subtractive manufacturing. The bond between printed layers needs to be perfectly formed for the print to maintain the same mechanical properties as an equivalent molded part. As much as printing accuracy is determined by the machine calibration, typical 3D printing machines using FDM or SLA methods have high tolerances of around 0.05mm. Traditional injection molding can offer accuracy better than this as it is determined by the accuracy of a CNC machined tool, which could be accurate to 0.01mm or better. Well-printed parts always have to undergo a post-processing session. The surfaces undergo smoothing, sanding, and painting for best surface finish. This may require extra time and cost in the long run. SLA prints especially need draining, curing, and washing after they are printed. In a production environment, this may necessitate large areas set aside for this use as well as investment in specialist post-processing equipment. 3D printing is an exciting innovation that offers designers endless possibilities of what they can create. Having been adopted in many manufacturing industries, it is also starting to be used within fashion, health, dental, education, architecture, and automotive industries. 3D printing has exploded as a hobby with home users finding thousands of uses for having a 3D printer in their home, as well as just enjoying the technology itself. The fashion industry is always exploring new trends. 3D printing is just one of them and designers around the world have already used 3D printing to create custom made items of clothing, jewelry, and other wearables which have appeared on catwalks and on famous models. Some designers even implement online models that allow users to design their own jewelry or clothes and have them printed and sent to them in the mail. Students from all levels are being exposed to 3D printing as it has become an essential part of learning in the modern world. Kindergarten, primary, and high schoolers participate in programs created by enthusiasts and 3D printer manufacturers that intend to promote the technology and its uses. These programs make 3D printers available for students where they can interact and learn with them. Other companies create education specific projects that allow students to actually design models under the guidance of teachers in research, development, and printing. Higher learning institutions including universities and colleges have courses that are highly related to 3D printing as it has become an essential tool in most industries. In project prototyping, 3D printing is much used and cuts across several courses including arts, architecture, medicine, automotive, and animations. On a more un-official level, many hobbyists and makers are learning about 3D printing themselves through online courses, locally held workshops, and YouTube tutorials. The design possibilities are endless with the 3D printing, and home hobbyists have taken 3D printing and combined it with almost every other hobby and interest you can think of. From printing plant pots to personalized chess sets, Sci-fi figurines to automotive accessories. Hobbyists have taken home 3D printing and run with it. Online there are multiple active communities devoted to 3D printing at home. Most industries manufacture consumer products. With 3D printing, enterprises are leveraging this technology by prototyping. But prototyping isn’t the only use for 3D printing, they are investing in technologies that will facilitate 3D printing of many products either through customization or standard measures. Other companies are already printing unique shapes of lighting lamps which are customized to take different forms. There are also new developments in optics where 3D printers can be used to create LEDs and bulbs. In addition to this, since 3D printers are efficient in creating little add-ons, they can generate wax molds that are used in the production of jewelry. By default, architects always need to present their work either through a digital model or a physical scale model. While showing a digital model still works, a 3D printed physical image is a better presentation as it gives a broader visual perspective of the project to clients. It is a quick and efficient means of cutting down manpower and time too. Starting 3D printing will be an exciting journey. The great thing is that you don’t really need a lot of things to do so. Here is a full breakdown of what you need. 3D printing starts from a digital model. The model is created with computer-aided software. This is mainly 3D modeling software that is available in various forms. CAD software varies in prices depending on the intended use. DIY’s and hobbyists can download the software free from open source platforms like Blender. There is also multiple industrial grade software that has an annual license at a specified cost. Since the use of 3D printing cuts across several industries, there is a need for tailored CAD software according to specified niches. Software developers have tapped on this need to create user-specific CAD software. Currently, there are several software programs tailored for fashion and fabrics, furniture designs, aerospace industries just to mention a few. Slicing is an essential step in 3D printing. It allows the process of layering to occur. The 3D model is translated into an STL file – standard tessellation file for slicing. Slicing is done using slicing software that breaks down the model into several 2D layers which will be read by the printer. The size and thickness of the layers are determined mainly by the type of technology and by the material used in printing. Desired resolution is also a key aspect in layering. Thinner layers result in more exceptional surfaces and less polish work, while thick layers mean faster build, but more smoothing work will be required. This is where all the magic takes place. But it is dependent on the two software options above. After your model is sliced into 2D, this file is saved and sent into the printer via ethernet, USB, SD-card, or Wi-Fi. Firstly, you feed in the filament via the feeder to the extruder. Secondly, since the printer is on and heating has started, the materials /filaments are melted in the print head. Thirdly, the melted material is extruded on the build plate to commence the process of creation. Fourthly, on the build plate, your object is created layer by layer based on how you had sliced it on your model. Layering continues until the whole object is complete. 3D prints originate from an initial design which is created with a computer-aided program. You don’t have to be a pro actually to design something. CAD offers tools and contains available shapes in its interface that you can choose from to build your design. The CAD software interface is quite similar to renowned software’s like Photoshop, MS paint, illustrator, and others. You have probably come across these software solutions before so using CAD won’t be as hard. You only need to select, drag and drop what you want. Slicing breaks down the 3D model into 2D layers. The process is done with a slicer software that creates a readable file by the printer. The file in G-code contains instructions for the printer to print your file. All settings and controls including how the print head should move during printing are done on the slicer software. There are a lot of calculations that need to be done to ensure the head moves and prints as expected. But it’s also something simple to do. There are a few different types of 3D printing technology in current use. Each of them is different and unique in their own way. Here is a simple breakdown of each of them. Fused Deposition Modelling (also known as Fused Filament Fabrication) is the most widely used 3D printing process in consumer machines. This is because it is cheap, safe, clean and widely available. Stereolithography as a form of 3D printing uses UV light to solidify a liquid resin. It facilitates injection mold-like finishes that deliver a highly accurate and detailed creation with a smooth surface finish. It is similar in a way to Digital light processing (DLP) since they both use UV light. The process of loading and printing in SLA is quite similar to FDM only that SLA uses UV light on a single point laser to solidify parts. Prints are also very accurate and very detailed. Parts printed in SLA have a very smooth surface too. Only a small amount of post-processing is done to remove imperfections; however the finished prints do require washing and curing before they can be used. The process uses castable and biocompatible resins as materials or filament. These include standard, clear, tough, and rubber-like resin for mold creation. Not ideal for outdoors; as much as UV light is used to solidify the parts, exposure to the sun degrades the color and mechanical properties. Selective laser sintering produces parts with excellent mechanical properties. It is therefore very ideal in prototyping and production of functional components. However, this can only be done in small batches. SLS is mainly used for industrial systems. This aspect limits the availability of the technology since it makes it costly with longer turnaround time. The SLS process starts by heating a vat of polymer powder to a certain temperature, generally below its melting point. After heating, the powder is then deposited on the build platform, after which a C02 laser scans the surface and selectively sinters the powder particles and binds them together. This process is repeated consecutively creating parts surrounded by un-sintered powder. The un-sintered powder around the parts acts as a support for the structures formed. No additional support is needed. Once printing is complete, cleaning and polishing of the components are done to remove the un-sintered powder around it. Post-processing improves the elements visual appearance. Direct metal laser sintering is a high-end industrial process that is most suitable for the production of complex geometrical metallic parts. It’s probably one of the most advanced 3D printing process available. As an industrial process, DMLS should only be applied to parts that cannot be manufactured by any other method due to its high cost. DMLS is similar to SLS with the only difference being the material used. SLS heats polymers while DMLS heats metals. In DMLS, metal powder particles are heated slightly below their melting point. This allows for the molecules to fuse together. Support structures are always needed to minimize distortion that may be caused to the parts due to high temperatures. After printing, CNC machining is carried out on the parts to remove the support parts and improve on the accuracy of parts. They also undergo thermal treatment to eliminate residual stress. Has the capability of processing even the most challenging metal alloys. 3D printing was first conceived in 1981 by Hideo Kodama in Japan although his idea was ground-breaking, it never got off the drawing board. It wasn’t until 1984 that Stereolithography (SLA) was patented by Charles Hull in the US. SLA is the process of using a liquid resin that is cured layer by layer using a laser. Finally, in the early 1990s, the first commercially available SLA machines were available. In these early years, the term rapid prototyping was used to describe the process, as that is primarily what it was used for. Rapid prototyping’s primary purpose was the production of aesthetic prototypes used by manufacturing companies and industries. If you wanted to show a client a mock-up of a product or assess the ergonomics of a new design without needing its full functionality, rapid prototyping is perfect. Since then, so much has changed. The advancement of 3D printing technology has improved precision, repeatability and material range. 3D printing is now considered an industrial production technology that is capable of producing not only complex shapes but final products ready for customers. These new capabilities have seen it become a fully-fledged manufacturing technology and gain the name additive manufacturing. Additive manufacturing is a generic term for any process of creating three-dimensional objects by laying down successive layers of materials which bond together. It differs from the traditional fabrication which is mainly subtractive manufacturing which involves cutting out material, for example, CNC machining of a metal billet. 3D printing is now a commonplace technology, with ever decreasing costs it is now readily available at both individual and institutional levels. 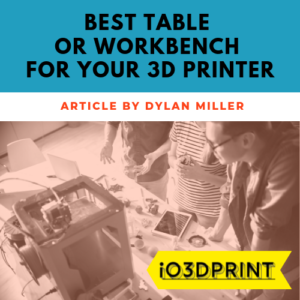 After reading through this tutorial, you will be in a better place to start your 3D printing journey and what an exciting journey it will be!